It's only a matter of time until the world sways to the tunes of Mexican producer Jorge Munoz Mancilla. On his way up since 2008, he presents a new vocal prog tune under his Zaa moniker. Enjoy the break beats of 'Timebomb', feat. Molly Bancroft!He's learned all the tricks and mastered all the skills to do what he does best: create something unique. And so he does, with 'Timebomb'. Following his collabs with Stine Grove, Aneym and Simon Latham, the Mexico City resident invited the legendary voice behind 'Tracking Treasure Down' to the studio. 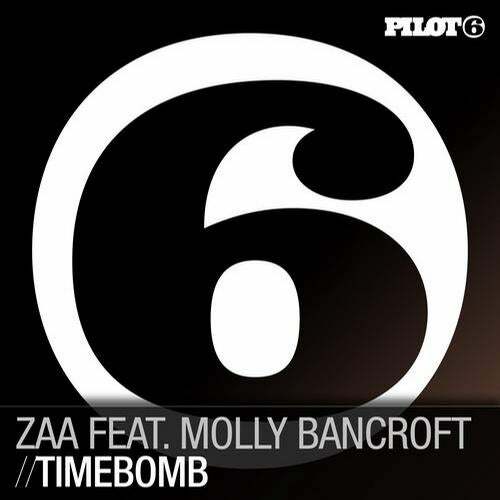 Molly Bancroft is the voice that guides you through 'Time Bomb', a gently flowing, melodic track that easily gets stuck on repeat.For remix duties, he invited no one less than Audien. The US producer, one of the secret weapons in EDM these days, gave 'Timebomb' a delightful proggy push. Melodic, funky and feel-good.